Cats are unique in their attachment to specific textures of their food and it is difficult to get them to accept/change to other forms of food. For this reason, we recommend that you try to feed kittens a mix of canned (try variety of textures including pate, minced, or shredded) and dry with the hope that they will always accept both. 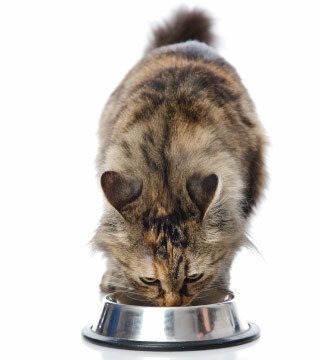 At Hudson Animal Hospital, we take pride in providing our patients and their human caretakers with all the information necessary to help cat owners make educated decisions about all facets of feline nutrition, cat foods included. This is also why we work closely with a certified veterinary nutritionist at our practice.